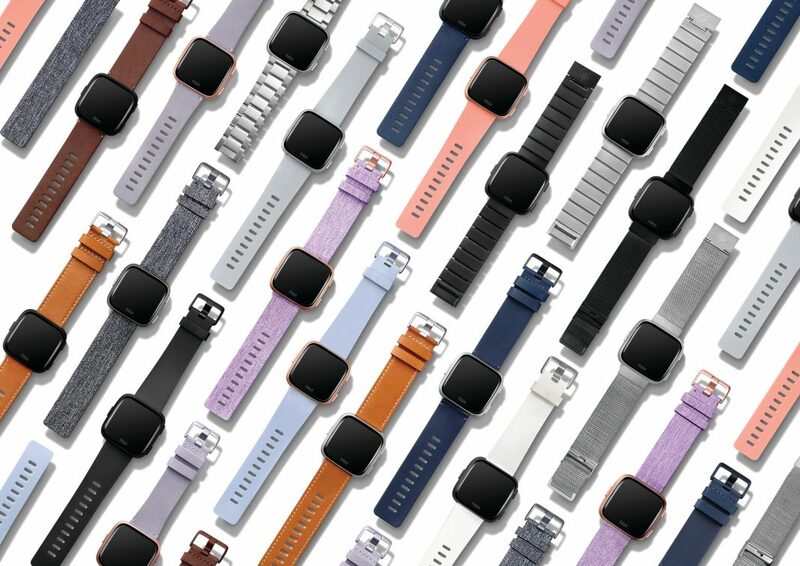 Fitbit is taking another shot at the smartwatch game with their new Versa smartwatch. Coming on the heels of its previous Ionic smartwatch, Fitbit aims to make the Versa a more pleasing and versatile product for the masses. The Versa sports a flat, thin, squircle design, with a square watch face. We find two buttons on the right and one on the left, followed by the Fitbit name below the screen. The Versa will come in several different colors and edition, including Black aluminum, Silver aluminum, and Rose Gold for standard versions; Graphite aluminum and Rose Gold for special editions. As far as specs and features go, the Versa has a high-resolution LCD touchscreen with Gorilla Glass 3 and goes up to 1000 nits brightness. There’s also 50m water resistance, 24/7 heart-rate tracking sensor, Bluetooth 4.0, and a connected GPS. With all that included, Fitbit says the Versa will still last over four days in battery life. The special editions come with NFC for making payments using Fitbit Pay and a woven wristband alongside the classic wristband. All that hardware pairs with Fitbit’s OS 2.0 software. The OS has a new personalized dashboard with quick and easy access to workouts, sleep tracking, stats, reminders and social media. 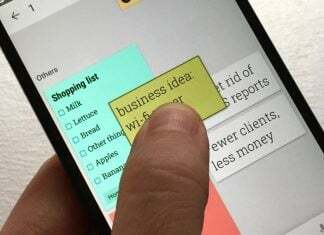 The latest update has more watch faces, support for music playback, and smart notifications on Android thanks to quick replies. Fitbit has also added female health tracking for women wanting another way to follow their menstrual cycles. 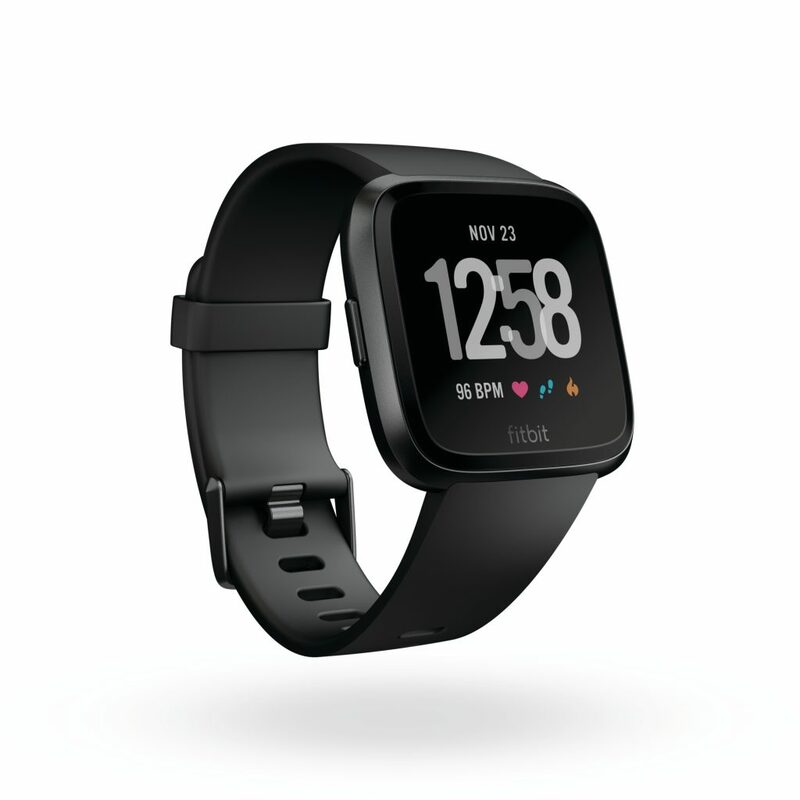 Fitbit already has the Versa available for preorder on their website for $199.95. It expects to ship the smartwatch in April. With the low price compared to the competition and compatibility with both Android and iOS, I expect the Versa to sell well. What do you all think about Fitbit’s Versa? Do the fitness features make it more attractive than an Android Wear watch? Let us know down in the comments.